Winter and the winter holidays in general are a time of joy, laughter, and love… but not for everyone. For some, the stress of preparing for parties, hosting family, traveling long distances in bad weather, and just keeping up with your daily routine can start to bring you down. 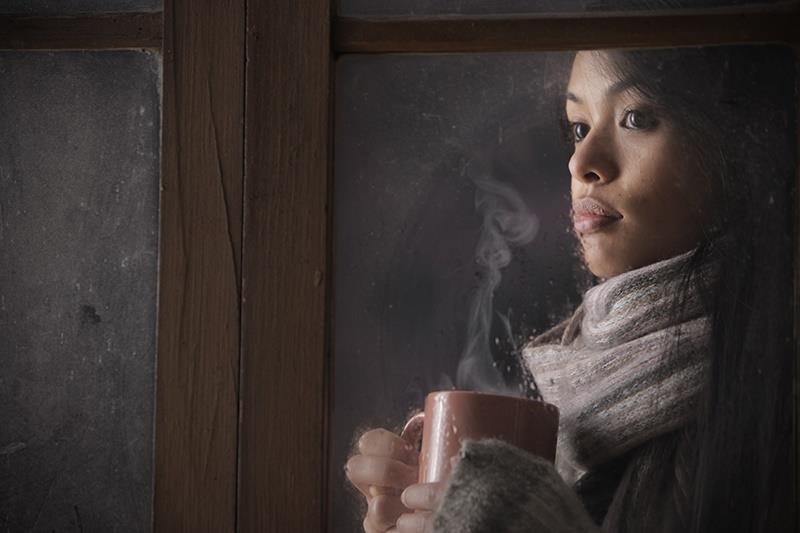 For others, the shorter days and less daylight can lead to Seasonal Affective Disorder (SAD). According to the Mayo Clinic, "SAD begins and ends at about the same times every year… your symptoms start in the fall and continue into the winter months, sapping your energy and making you feel moody." There are definitely medical and behavioral interventions you can employ to deal with SAD, aka the "winter blues," but you can also make some changes to your diet to elevate your mood. Here are some foods that may help you feel a little bit more in the holiday spirit... or get you through the rest of winter in the new year. Researchers at the University of Toronto found that folks with SAD showed improvement when they had more Vitamin D in their diets. Likewise, a 2009 study in the Journal of Clinical Psychiatry demonstrated a link between an increase in omega-3 fatty acids and a decrease in overall reported symptoms of depression. What delicious food contains both a lot of Vitamin D and omega-3 fatty acids? 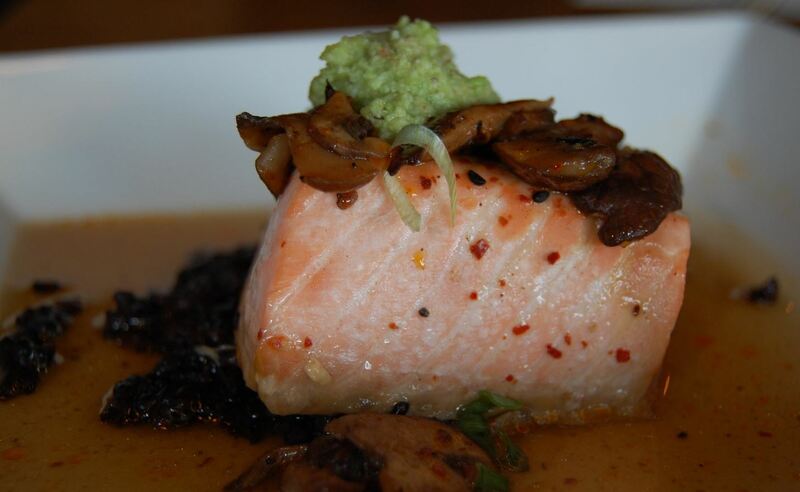 Salmon—and other oily, fatty fishes like sardines and rainbow trout! So enjoy that lovely poached salmon that is being served at the family Christmas party, and know that you are helping stave off depression. Yup—that chocolate Hanukkah gelt you devoured just might be good for you. 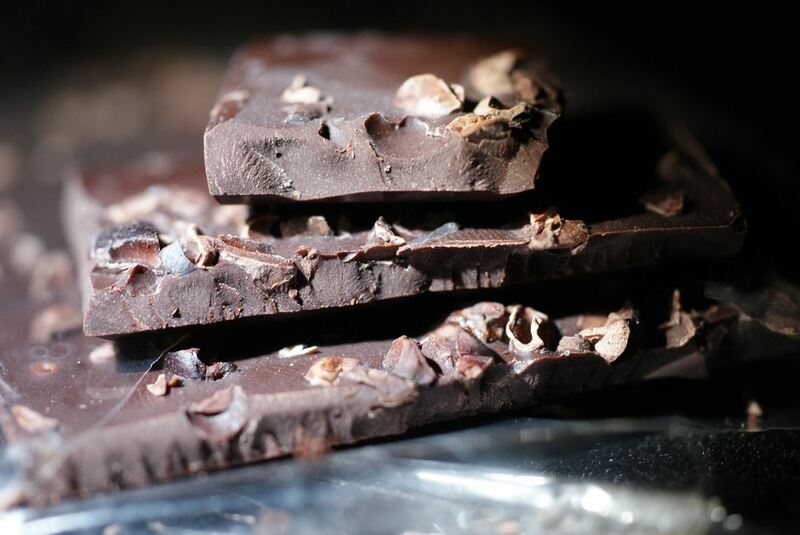 According to a 2013 study in the Journal of Clinical Pharmacology, the polyphenols (an antioxidant phytochemical) in dark chocolate can help improve your mood. Oranges and grapefruits are a staple in the gift baskets many of us receive this time of year. Not only is this a nice respite from the less-healthy food of the holidays, but also these citrus fruits can help fight depression. Citrus fruits are rich in antioxidants, and a study in the European Journal of Clinical Nutrition found that Japanese subjects who had diets including citrus fruits (and other antioxidant-rich foods) tended to have fewer depressive symptoms. As the old commercial said, "Breakfast without orange juice is like a day without sunshine," so if the lack of light is getting to you try a little "sunshine in a glass." Low production of serotonin, or the "feel-good" brain chemical, can be one of the culprits when the winter blues hit. So, that craving for gooey macaroni and cheese and fluffy mashed potatoes you have may well be based on your body's craving for this mood-elevating chemical. According to Judith Wurtman, who has devoted a good deal of her research to studying carbs, making sure that you have about 30 grams of carbohydrates (or around 120 calories worth) can help your body produce enough serotonin. But not all carbs are equally good for you! 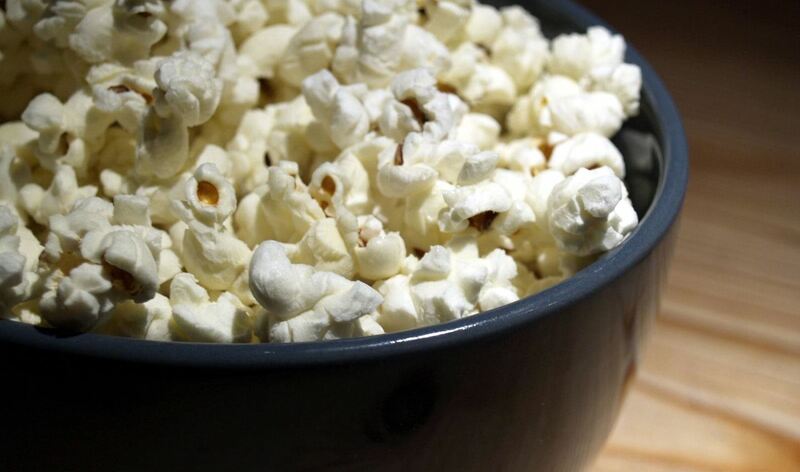 Dr. Wurtman suggests you stick to low-fat/low-protein carbs like popcorn, pretzels, lentils, rice, and yes, potatoes. An article in Psychology Today that was published in 2015 touts the many mental health benefits of almonds. Their macronutrients include an amino acid called tyrosine that aids the brain in producing dopamine—another happy-making neurotransmitter that can be depleted when you are stressed out. Almonds also contain micronutrients like vitamin B-folate, which can directly and positively impact neurotransmitters as well. The key to healthy nut consumption is moderation, though: you aren't going to feel even better if you eat through a pound of almonds! 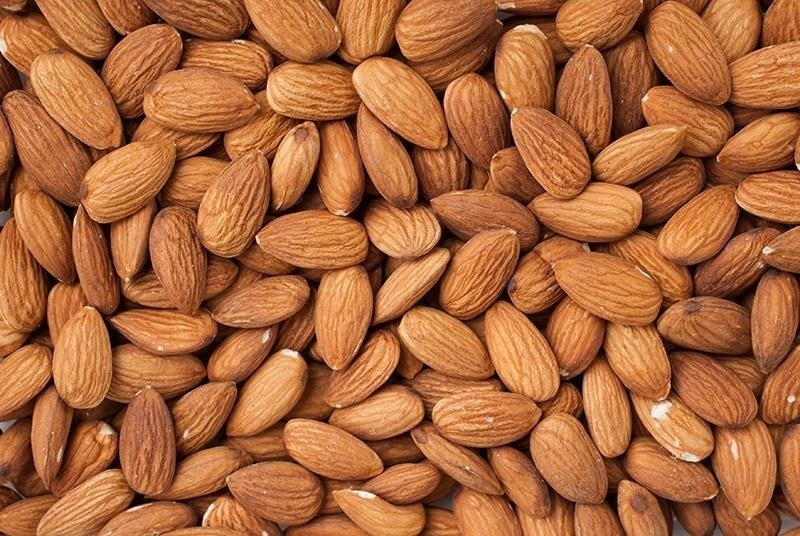 Don't Miss: Almonds Also Help You Fall Asleep at Night! It is important to note that, while these foods may help elevate your mood and improve your ability to deal with SAD, this article is not medical advice. Depression, seasonal or otherwise, is a very serious condition and should be addressed by a mental health professional. With that heavy stuff aside... monitor your emotional well-being, take time to relax, eat well, and just enjoy the season. Don't let the bleak weather get you down; before you know it, it'll be spring again!